This beautiful version of my Autumn Vines beret pattern came in the mail to me just the other day. This is a test knit done for me by the talented Lily France and she did an amazing job as always! The yarn she used was Classic Elite Fresco which is a soft, slightly fuzzy, beautiful alternative to the crisp smooth yarns that I used in the other samples. 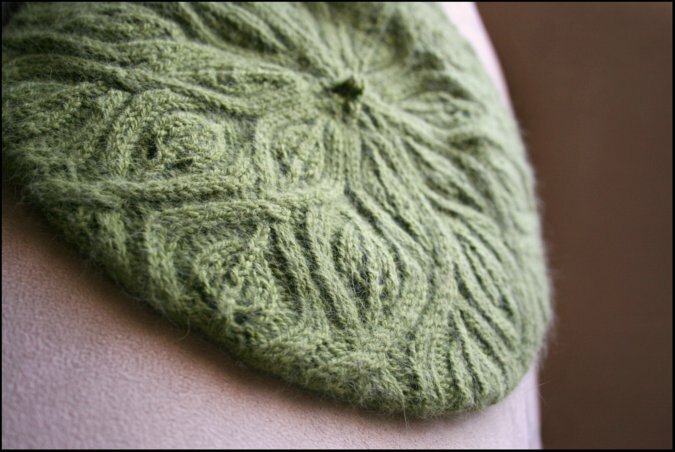 I thought I would share this hat with you to give you an idea of how the yarn can completely change the look of the pattern. And guess what else? She got this hat out of only one skein! Yarn found HERE. Pattern available HERE.